The defense chiefs of South Korea and the United States will hold talks in Seoul next week on the North Korea issue, Seoul's defense ministry announced Thursday. Secretary of Defense Jim Mattis is scheduled to visit here for a meeting with Defense Minister Song Young-moo slated for Thursday afternoon, according to the ministry's spokesperson Choi Hyun-soo. At a press briefing, she said that they will discuss "various ways related to follow-up measures to North Korea-US (summit) talks and South-North Korea relations." She added there could be consultations on the recent decision to suspend a major combined military exercise, the Ulchi Freedom Guardian, that was supposed to take place in August. The measure is aimed at maintaining the momentum from a series of summits involving Pyongyang in recent months. But it raised concerns about the allies' joint defense posture. Ahead of his trip here, the Pentagon chief will travel to China, Choi said. It would be their second meeting in less than a month. They had talks in Singapore on June 2 on the sidelines of the Shangri-La Dialogue security forum. 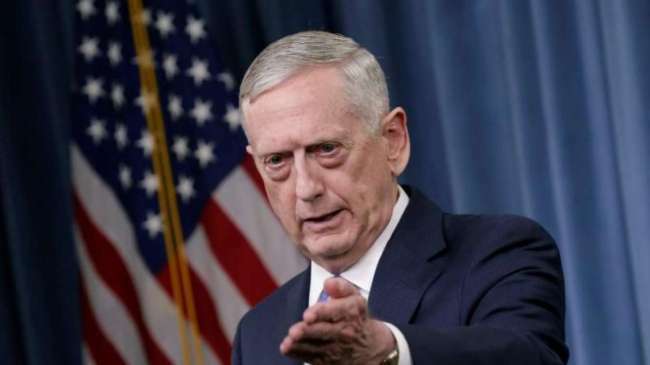 The Pentagon chief is likely to attend the US Forces Korea ceremony for the opening of its new headquarters in Camp Humphreys, an expanded base 70 kilometers south of Seoul, on Friday. The allies also plan to have another round of negotiations next week on sharing the cost of the 28,500-strong USFK, as their existing agreement is scheduled to expire at the end of this year.